Salon Furniture Depot is a leading wholesale supplier of quality salon furniture for spas and beauty salons in Winnipeg. We offer an extensive range of salon furniture at a very affordable price. We are your one stop shop for all your salon supplies, from styling chairs, reception desks to shampoo sink units and barber chair – we have them all! 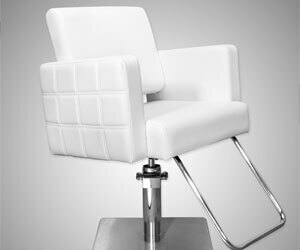 Our trendy and stylish designer furniture are all set to enhance the beauty of your salon, while offering comfortable surroundings to your clients. At Salon Furniture Winnipeg, we are committed to delivering top of the line salon equipments along with excellent customer service. We provide a large selection of furniture in a wide range of colors and styles. So, if you want to enhance the looks of your salon, come to us, we have outstanding designer furniture for your place. We understand that no two beauty salons are the same, that’s why, we also offer customized furniture that can meet your salon needs. Whether you are planning to start out a new salon or renovating the existing one, Salon Furniture Depot is here to deliver top-grade salon furniture at your doorstep throughout the Winnipeg area. Here, you will find everything you need to make your salon attractive and unique.